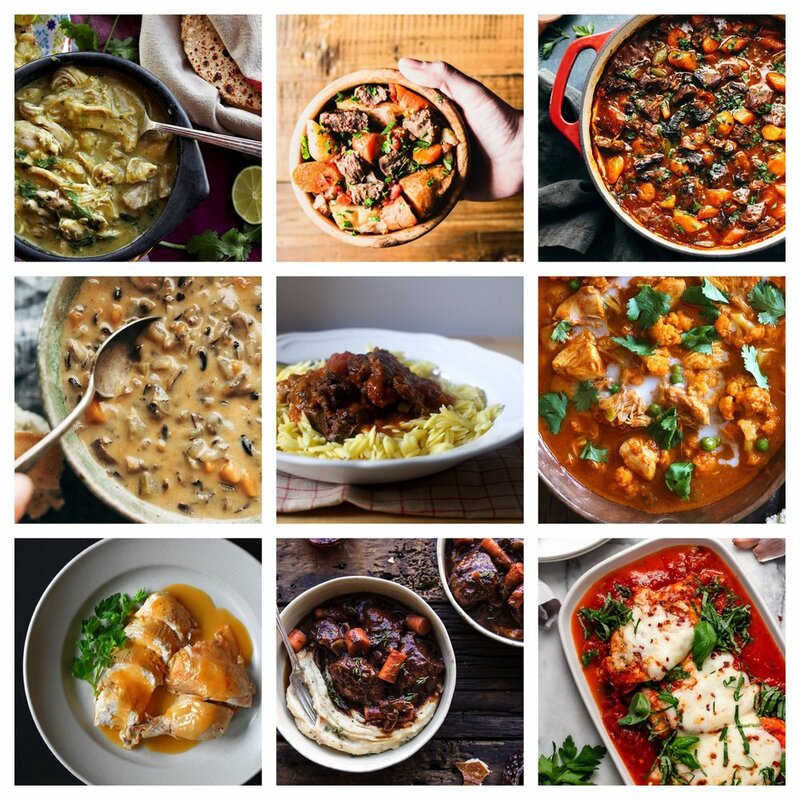 If you want to learn more, Simply Recipes has a great guide for starters. This is maybe my favorite thing in the instant pot. They turn out so creamy and delicious. I love to make these soft boiled eggs and put them on toast with avocado for breakfast. Or, serve with roasted veggies for dinner (this is a frequent meal in our household). Never ever without a doubt throw away the chicken bones after you roast a chicken. It makes a delicious broth. Josh will just drink the broth (eh, not for me), but you can use it in soups and stews and it just adds an extra special touch to your soup. This competes as a top thing I made in my instant pot. It makes such a quick and easy side for dinner. I just made these last night to go with our meatloaf and broccoli for dinner. After cooking, I unpeeled them and mashed with salt and pepper. That’s it. Or you can serve them liked baked potatoes. The texture is so smooth and makes a wonderful side. I can’t lie, I’ve not been a huge fan of spaghetti squash. I’ve tried it a few times and just didn’t see the hoopla about it. But then last week for dinner I made this spaghetti squash bake and it changed me. Also, after talking with a friend, I learned the trick is to squeeze out the spaghetti squash. Holy cow is there a lot of water in there! I think with the right recipe and getting all that excess moisture out is what converted me. And now I have an easy way to make spaghetti squash. The amount of time of rice on the stovetop versus in the instant pot is negotiable, but I think the rice that comes from the IP is more flavorful. Plus, it’s more set it and forget it than the stovetop. I will make the rice earlier in the day and then just warm it up at dinner. Bam, rice is done. Game changer: you can cook frozen chicken in the instant pot. It’s more shedded type chicken, but it works great in so many things. Sometimes you just want to add chicken to something and this is your answer. Plus, it’s quick! Like this Sweet Potato Tortilla Soup recipe…much more filling with chicken and so delicious! I just made this for the first time, but it was awesome. A while ago I was totally into making homemade ricotta because it’s hugely, and I am hugely, better than store-bought. This is so easy and so worth it. Green Chili Chicken Verde - Uhh yea. Wild Rice Soup - Love this one! I definitely add chicken to make it more hearty. Oven Braised Beef with Garlic and Tomatoes - So tender and good. Chicken Tikka Masala with Cauliflower and Peas - I add some greek yogurt on top and some rice or quinoa. Chicken and Gravy - Ohh, the gravy. Freeze the leftover gravy. I did and used it at Thanksgiving. Healthier Coq au Vin - I made this when my parent’s visited and topped it over some delicious IP mashed potatoes. Viola, a meal to impress! Chicken Parmesan - Simple for a week night!